What's a perfect way to spend Friday night? 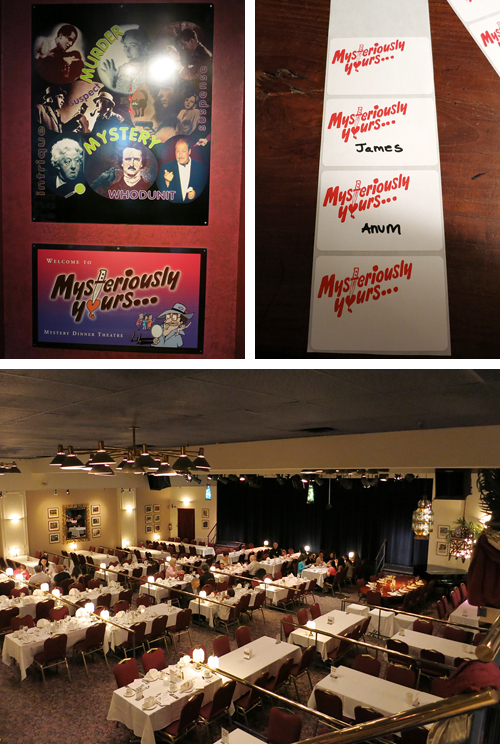 Why, at Mysteriously Yours Dinner Theatre of course! While I really enjoy going to musicals, shows and concerts (anything live), I hardly make time for it. 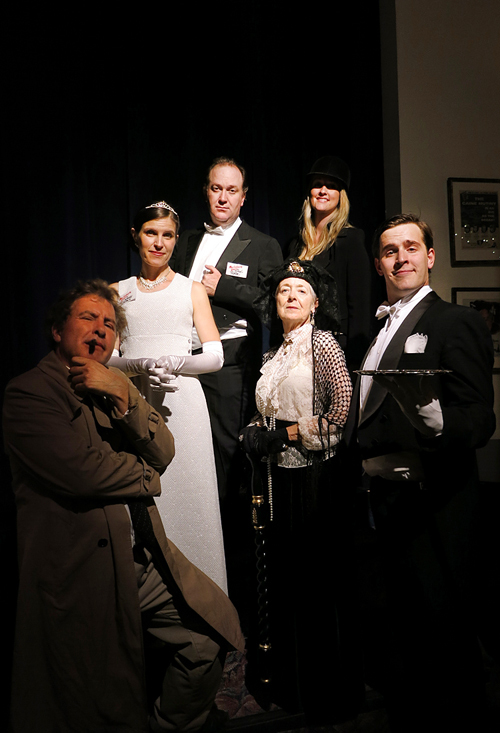 When Mysteriously Yours Dinner Theatre in Toronto asked me to join them last week for the interactive murder mystery "Uptown Abbey", I couldn't refuse! Fridays are usually my casual outfit days, but I decided to dress up a bit, purposely wearing red and black with a pleated skirt. James (Mr. SxS :P) also looked really nice in business-casual attire. What do you think of his pose? We arrived in the Yonge/Eglinton area really early, so we decided to have drinks at a Mexican restaurant while we waited. 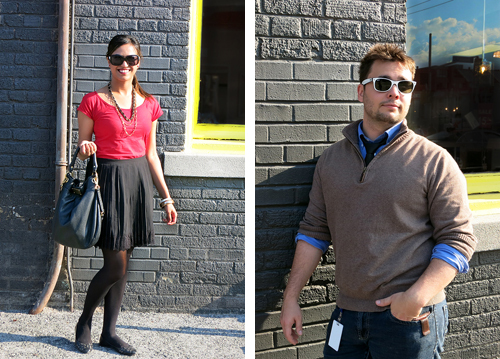 Around 6:30 p.m. we headed towards the venue (2026 Yonge Street, Toronto) and really liked the setup. You enter through a set of stairs going down and are immediately greeted by a host who guides you through the entire process. Since it's an interactive show we had to wear name-tags throughout the night so that the actors could talk to us on a more personal level. They also had the dinner tables set up so that actors would sit with the audience, which I really liked! 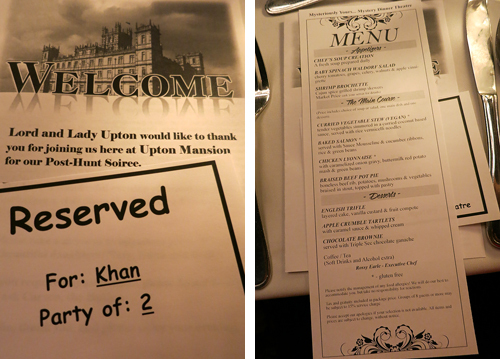 Table setting included an itinerary, details and information about the show, as well as the menu for the 3-course meal. Mmmmm, boy, were we starving! 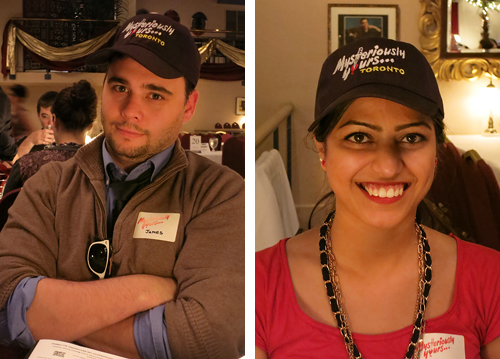 It was known that we attended as media and got these really cute hats! We took them off during the show but it was a nice touch. It also helped that actors and staff knew we were attending as media and specifically came up to us to introduce themselves and talk to us about what will be happening regarding the food and show. I even got some spoilers! 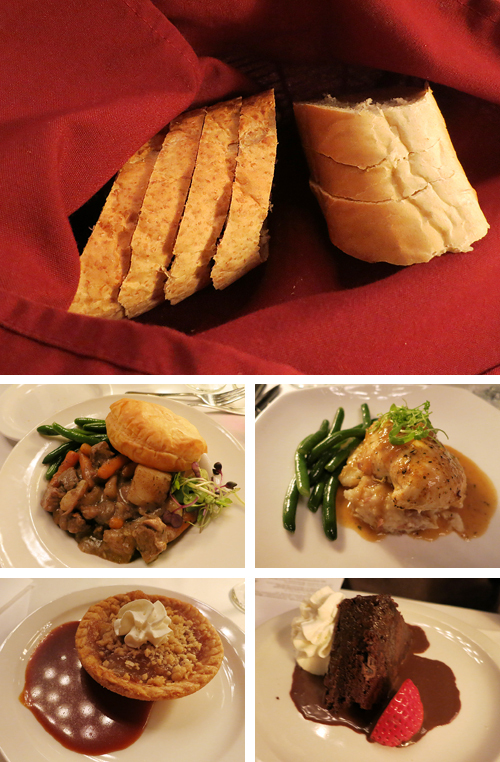 Dinner was served before the murder mystery began. This is an excellent idea since you don't really want to be distracted while eating and having light conversation. Trust me, everything was twice as delicious as it looked. While we worked on our dessert the actors began walking around us. These are the only photos I was able to capture since everyone ran around a lot and moved from table to table really quickly. I loved how witty everyone was and the audience participation that night was EXCELLENT. The actors even had a system of getting people excited throughout the night. I won't spoil anything for you regarding the show, Uptown Abbey, but I highly recommend it. We were very entertained and laughed the entire time. At one point I even wanted to cry, hehe. There is also a really big change or surprise that occurs, which I didn't realize till the VERY end (silly me). Here is a group photo of the cast! We even saw a couple of them on the TTC after the show and got to hear more about how the shows and costumes are put-together, how the actors are selected and more. Get your Mysteriously Yours Dinner Theatre tickets now!